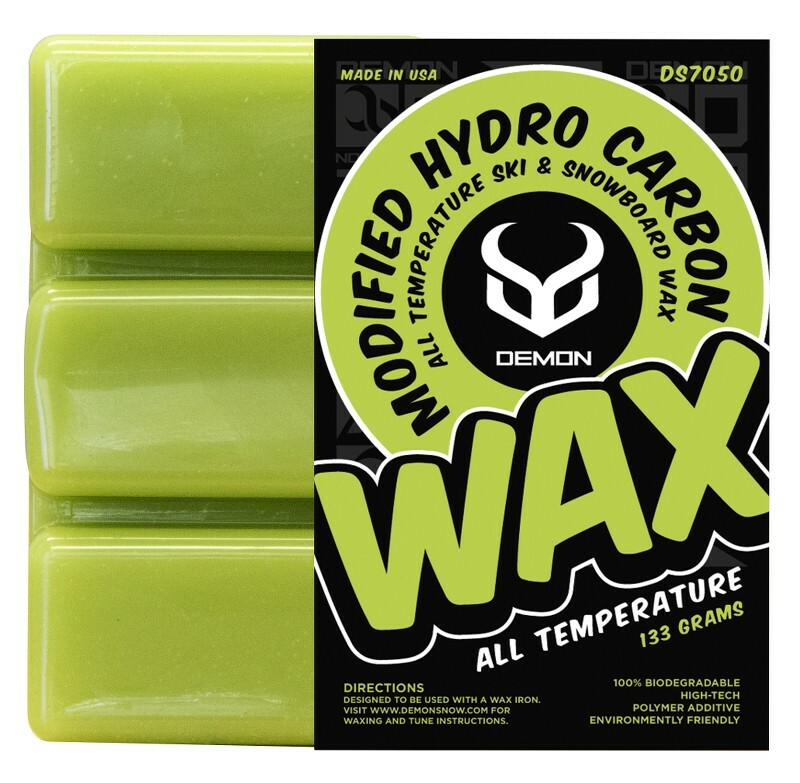 The Demon DS7050 Modified HydroCarbon Wax - This 'Special Ops' formula was put together in Demon's 'clandestine wax blending room' located at the Demon HQ - it is specifically blended to beat everybody down the mountain. it's only real challenger being the Demon Black Gold Graphite wax! The waxing of your skis or snowboard on a regular basis is essential to help to break down the surface tension between the base of your skis or board on the snow – not only does this greatly extend the life of your kit, but also makes you go faster! So why not invest in the right tools now (DS7700 Complete Tune Kit) and save the money you would usually spend on expensive servicing in the ski resort! A warm wax ( DS7020 Orange Crush Warm Temperature Wax) is usually for snow temperatures of above 0°C while a cold wax (DS7010 Blue Blur Cold Temperature Wax) is usually for temperatures below 0°C which has a biodegradable high-tech polymer additive for reduced friction and is enviromentally friendly! 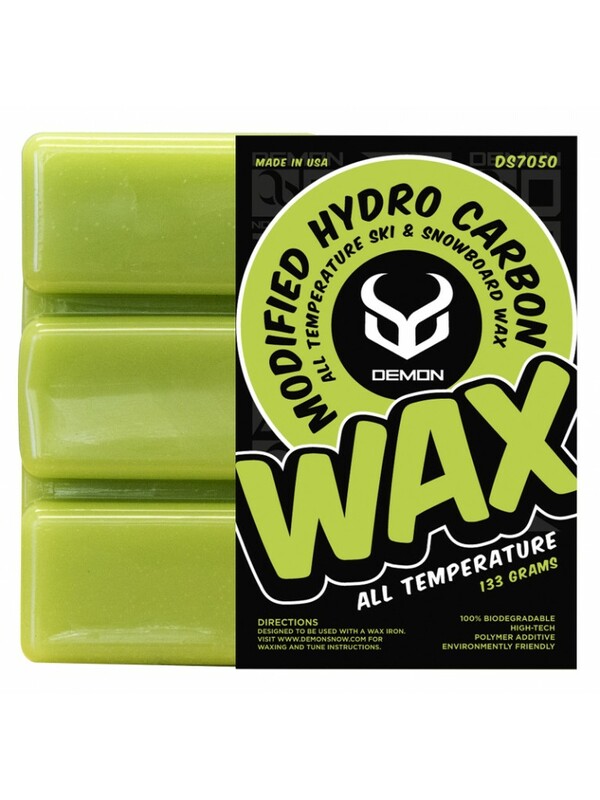 An all temperature wax (DS7040 White Lightning All Temperature Wax) is if you are not sure of the snow temperature, are going to ride or ski in mixed conditions or just need a good all rounder for varying snow conditions! For specialist waxes (DS760 Black Gold Graphite Wax and DS7050 Hydrocarbon Wax) – for use in certain conditions. 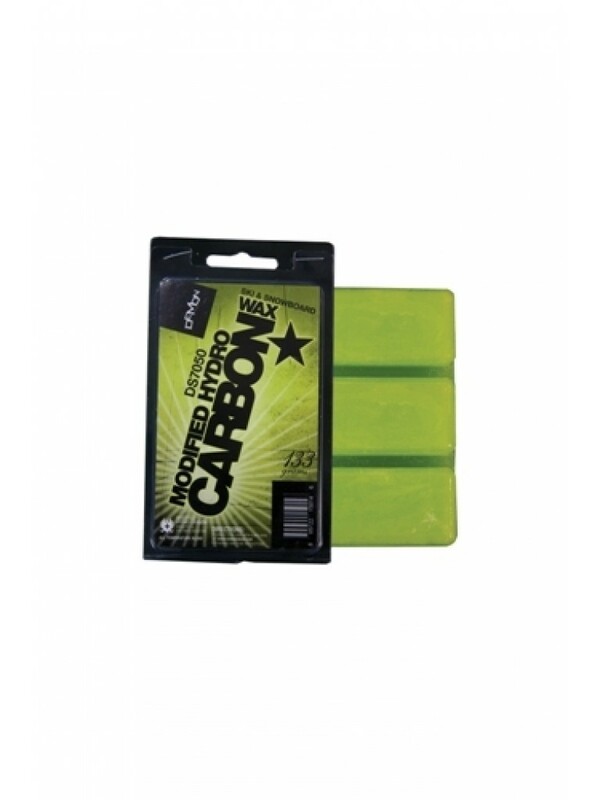 These range from the graphite waxes which are fast and great in slushy snow or hydrocarbon for super high speed! The amount required for a pair of skis or a snowboard is approximately 12-15 grams of hot wax, therefore the average 133g wax bar is good for about 9-11 hot wax applications based on an average size of skis or snowboard. There are also the rub on paste waxes (DS7001 Speed Paste) or the liquid spray waxes (DS7003 Spray Wax 4oz) which you rub or spray on for that Instant fix! Rub-on and Spray-on waxes can generally be used on top of a hot-wax for last minute touch-ups on the slopes.